After our visit to Applewood Orchards last weekend, we’ve been noshing on fresh apples and waiting for the right time to bake with them. Yesterday’s rainy weather gave us the perfect excuse! 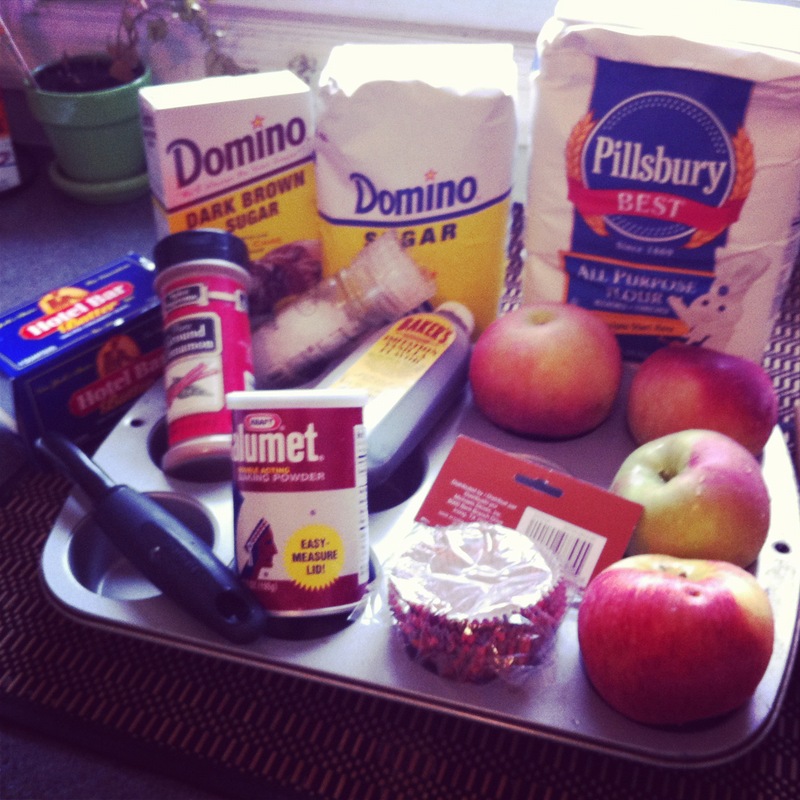 Looking to whip up a simple batch of muffins, we were inspired by the following recipe from allrecipes.com. Preheat over to 375 degrees F and prepare a 12 cup muffin pan. Mix flour, baking powder, baking soda and salt. In a separate bowl, beat together the eggs, butter and sugar until smooth. Mix in vanilla and apples. Slowly add in flour mixture. Spoon into muffin pan. In a small bowl, mix brown sugar, flour, cinnamon and butter until it resembles crumbs. Sprinkle on top of muffins. Bake for 20 minutes or until toothpick comes out clean. 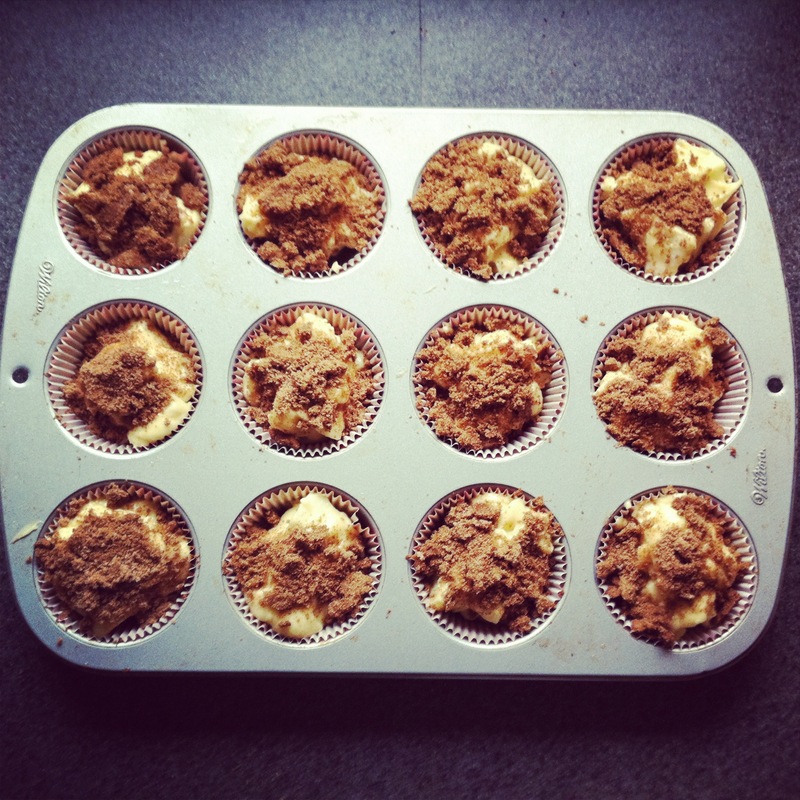 Allow to sit for a few minutes before removing from muffin tin. 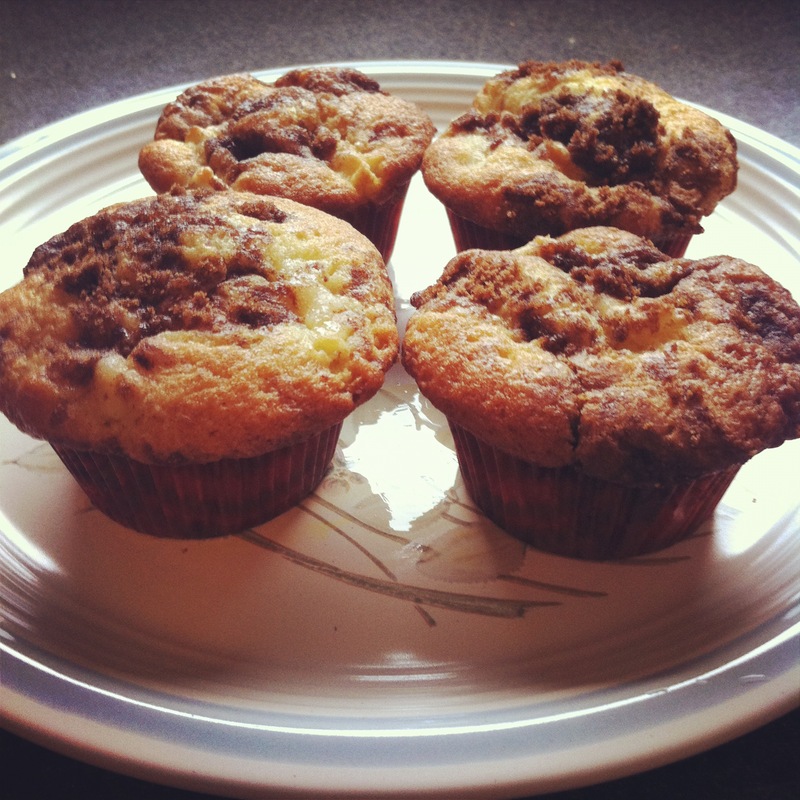 These muffins have a yummy cake-like texture perfect for breakfast or an afternoon snack. Next time, we might try using some whole wheat flower and adding cinnamon to the batter for an even heartier flavor. Let us know if you give them a try! There’s nothing quite like muffins fresh out of the oven!